60,61,62,64,67Cu radyoizotopları, nükleer tıpta tanı veya terapi amaçlı olarak çeşitli uygulamalar için kullanılır. Bu radyoizotopların geniş yarı ömür spektrumu çeşitli radyofarmasötiklerin tasarımını ve sentezini sağlamaktadır. Kullanılabilirlik ve üretim maliyeti nedeniyle, bakır radyofarmasötiklerindeki araştırma çabaları, esas olarak, bu süreçte tasarlanan üretkenliğin olasılığını gösteren reaksiyon kesitlerinin hesaplanmasına odaklanmıştır. Bu çalışmada bakır radyoizotopların uyarma fonksiyonları, 50 MeV’e kadar parçacık gelme enerjisinde TALYS nükleer reaksiyon kodu kullanılarak reaksiyon tesir kesitlerinin teorik olarak hesaplanması ile araştırılmıştır. 60,61,62,64,67Cu radioisotopes of copper are used for various applications in diagnostic or therapeutic nuclear medicine. These radioisotopes’ wide range of half-lives enable designing and synthesizing of various radiopharmaceuticals. Because of availability and cost of production, the research efforts in copper radiopharmaceuticals are focused on the calculations of reaction cross sections showing the possibility of the productivity in this process. In this paper, excitation functions of copper radioisotopes have been investigated through the theoretical calculation of reaction cross sections by using TALYS nuclear reaction code in the incident particle energy up to 50 MeV. C.J. Anderson and R. Ferdani, “Copper-64 radiopharmaceuticals for PET imaging of cancer: advances in preclinical and clinical research,” Cancer Biotheraphy and Radiopharmaceuticals, vol. 24 (4), pp. 379-392, 2009. A.R. Jalilian and J. Osso Jr., “The current status and future of theranostic Copper-64 radiopharmaceuticals,” Iran J Nucl Med, vol. 25(1), pp. 1-10, 2017. S.M. Qaim, “Use of cyclotrons in medicine,” Radiation Physics and Chemistry, vol. 71, pp. 917–926, 2004. B.L. Zhuikov, “Production of medical radionuclides in Russia: Status and future—a review,” Applied Radiation and Isotopes, vol. 84, pp. 48–56, 2004. B. Demir, V. Çapalı, İ.H. Sarpün, A. Kaplan, “Production Cross–Section Calculations of Medical 125I Radionuclide Using α, d and γ Induced Reactions” SDU Journal of Science (E-Journal), vol. 10 (2), pp. 116-121, 2015. B. Demir, A. Kaplan, V. Çapalı, İ. H. Sarpün, A. Aydın, E. Tel, “Production cross–section calculations of medical 32P, 117Sn, 153Sm and 186,188Re radionuclides used in bone pain palliation treatment,” Kerntechnik, vol. 80(1), pp. 58–65, 2015. R. Ünal, İ.H. Sarpün, H.A. 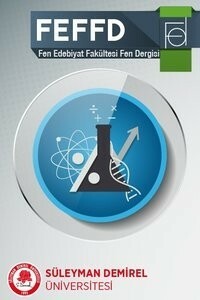 Yalım, “Comparison of level density models in (γ, n) reactions of some lanthanide nuclei,” Physics of Atomic Nuclei, vol. 77 (3), pp. 310-315, 2014. H.A. Yalım, A. Aydin, İ.H. Sarpün, R. Ünal, B. Oruncak, A. Kaplan, E. Tel, “Investigation of Nucleon Mean Free Path Dependence in Tritium Emission Spectra Produced by Proton Induced Reactions at 62 MeV,” Journal of Fusion Energy, vol. 29 (1), pp. 55-61, 2010. İ.H. Sarpün, H.A. Yalım, R. Ünal, B. Oruncak, A. Aydın, A. Kaplan, E. Tel, “Determination of (n, 2n) Reaction Cross Sections for Some Nuclei with Asymmetry Parameter,” Journal of Fusion Energy, vol. 29 (4), pp. 387-394, 2010. A. Aydin, H.A. Yalim, E. Tel, B. Şarer, R. Ünal, İ.H. Sarpün, A. Kaplan, M. Dağ, “Level density parameter dependence of the fission cross sections of some subactinide nuclei induced by protons with the incident energy up to 250MeV,” Annals of Nuclear Energy, 36 (9), pp. 1307-1312, 2009. A. Kaplan, “Investigation of Neutron-Production Cross Sections of the Structural Fusion Material 181Ta for (α,xn) Reactions up to 150 MeV Energy,” Journal of Fusion Energy, vol. 32 (3), pp. 382–388, 2013. U. Akçaalan, R. Ünal, İ.H. Sarpün, H.A. Yalim, B. Oruncak, “Calculations of (γ, n) Reaction Cross Sections using Different Level Density Models for Some Lanthanide Nuclei,” Acta Physica Polonica A, 128 (B-2), pp. 228-230, 2015. Koning A., Hilaire S., Goriely S., “TALYS–1.6 A Nuclear Reaction Program, User Manual (NRG, The Netherlands),” First Edition, vol. 23, pp. 64–67, 2013. EXFOR/CSISRS, Brookhaven National Laboratory, National Nuclear Data Center, Database Version of April 2017. ISNAD YALIM, Hüseyin Ali , BALÇIN, Niyazi , SARPÜN, İsmail Hakkı . "Nükleer Tıpta Kullanılan Bakır Radyoizotoplarının Uyarma Fonksiyonlarının TALYS Kodu ile İncelenmesi". Süleyman Demirel Üniversitesi Fen Edebiyat Fakültesi Fen Dergisi 12 / 2 (November 2017): 12-18.